Saraswat Bank is proud to introduce you a unique facility for withdrawing cash from ATMs i.e. ‘Cardless Cash Withdrawal’ wherein you can withdraw cash from bank ATMs using GoMo Mobile Banking or One Page Internet Banking instead of Cards. 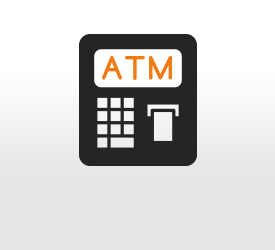 It allows safe & secured cash withdrawals from Saraswat Bank ATMs across India. Further, select your account number, enter your desired amount in multiple of 100 and select ‘Submit’ button Enter ‘OTP’ (One-Time Password) sent to your registered mobile number. You will receive a confirmation message on your mobile number. You will receive a confirmation message on your mobile number. 5. ‘Thank you’ message will be displayed on screen! There is no transaction fee / any other charges! Request must be raised from GoMo Mobile Banking or One Page Internet Banking. While raising a request, amount should be entered in multiples of 100. Amount will be dispensed as per the cash availability at Saraswat Bank’s ATMs. The request of Cardless Cash withdrawal will expire after 24 hours.